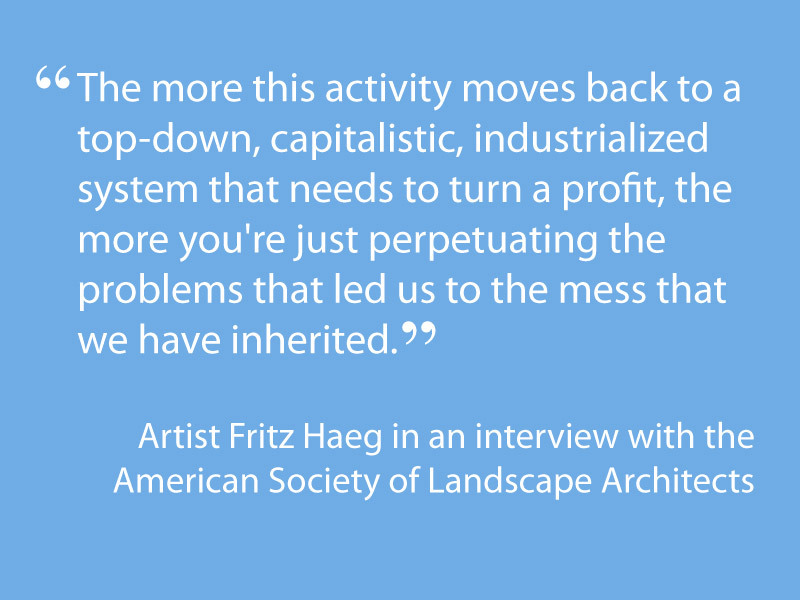 This is a nice interview from the American Society of Landscape Architects with Fritz Haeg, the artist behind Edible Estates: Attack on the Front Lawn. I love his frankness about the outcomes of urban gardening and his reasoning for working with single families. His projects "...operat[e] at the cellular level of one family, one individual. Because that's viral, it can spread, anyone can do it, and that's powerful." He goes on to talk about the less quantifiable benefits of small scale gardening (or urban farming) saying, "For me, it comes down to pleasure and I think that's the best point of entry into big cultural shifts like this." Amen, to that brother. The Urban Land Scouts are, I hope, a pleasurable point of entry into a shift in awareness about our immediate land. Let's hold off on trying to use urban agriculture in the same way that we use large scale agriculture and focus on the aesthetic, cultural, and peripheral benefits from the material, scale, and pace of this work. A final shout out and source: I found this article on the facebook page for Urban Edge Studio. Thanks very much to Angelike Angelopoulos for directing me to their work! 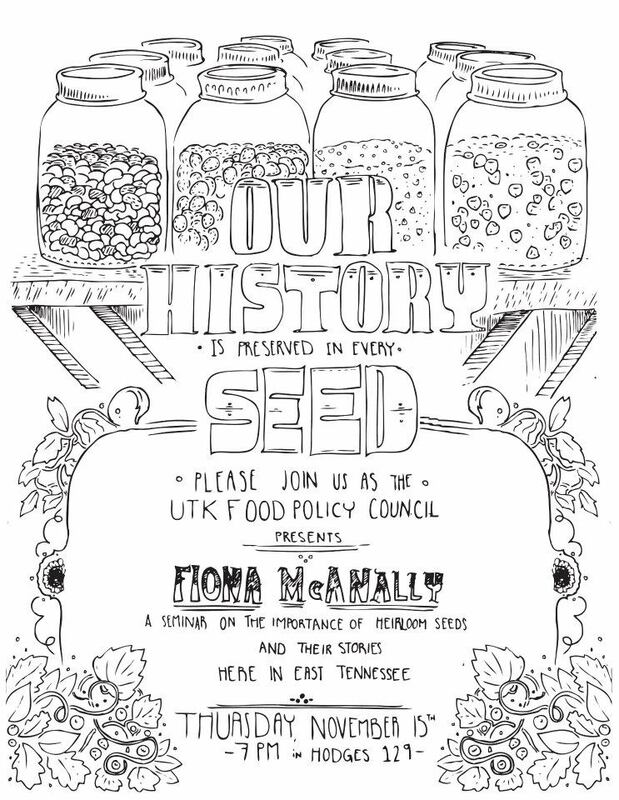 I'm pleased to say I know Fiona McAnally and sure her talk will be a good one. Hodges is the large ziggurat-like brick library on UT's campus. This fine flyer was drawn by Elias Attea. Several years ago a friend gave me some native sunchokes (Helianthus tuberosus) from his yard and warned me, "They'll take over." I nodded but thought to myself, "I'll keep them in check. They won't take over in my yard." 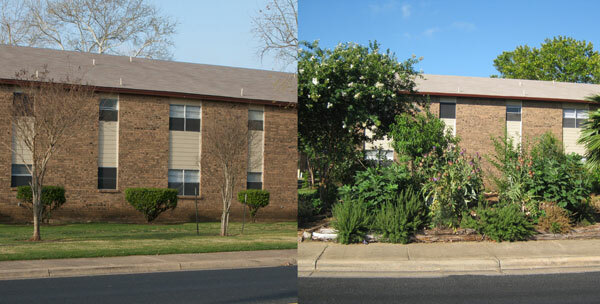 There is an adage in planting: right plant, right place. In the case of sunchokes (also known as Jerusalem Artichokes), the right place is a large sunny field or side of the road where you're not planning to grow other perennials. While I thought I kept the sunchokes somewhat in check by only letting a handful of plants grow each year, I was naive in thinking of the plant in terms of what was visible above ground. The plants have spread their tubers throughout the small bed in front of our house. I was excited to harvest some...until I realized how pervasive they were. These plants will outlast and outcompete my time and attention. And this is how we learn.